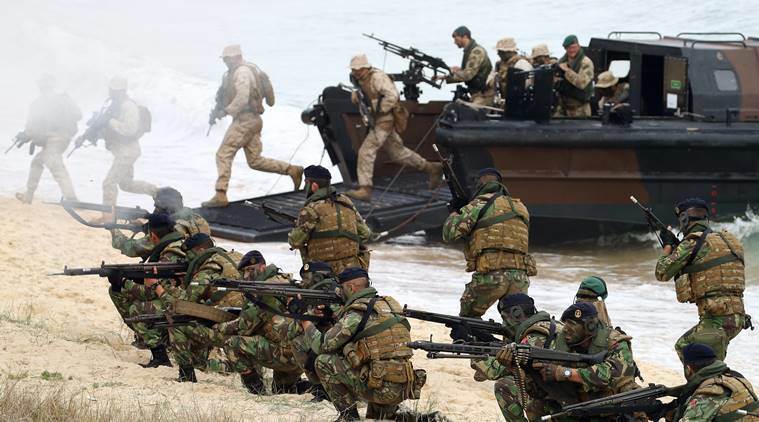 Jens Stoltenberg said Tuesday as he attended the Trident Juncture war games in his native Norway that "this is not a Cold War situation," stressing it is "purely to prevent, not to provoke." The Russian missile tests will take place Nov. 1-3 off western Norway. The NATO drill, scheduled to end Nov. 7, takes place in central and eastern Norway, the North Atlantic and the Baltic Sea. The manoeuvers come amid persistent tensions between NATO and Russia, and Moscow believes the alliance is behaving provocatively near its borders. “This is a necessary exercise” to “send a strong signal of unity,” Stoltenberg told reporters as he visited the NATO maneuvers that involve around 50,000 personnel from all 29 NATO allies, plus partners Finland and Sweden. There also are 65 ships, 250 aircraft and 10,000 vehicles in a hypothetical scenario that involves restoring Norway’s sovereignty after an attack by a “fictitious aggressor.” “We are exercising in NATO territory,” Stoltenberg said.